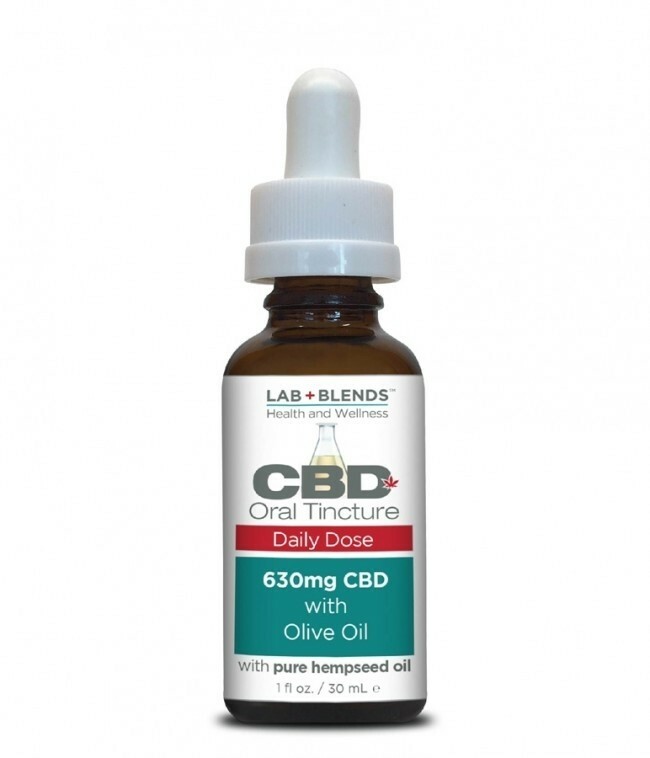 Lab+Blends CBD Daily Dose Oral Tincture is a complete breakthrough product to help reduce pain and inflammation, encourage relaxation, and support sound sleep. High levels of CBD in a base of Olive Oil and nutrient rich Hempseed Oil, give you a more natural way to decrease discomfort and attain a better quality of life. Studies have shown that CBD exhibits analgesic and anti-inflammatory properties making it useful in the treatment of both acute pain and chronic conditions such as arthritis. To help manage problems in joints and muscles or decrease stress and anxiety, this powerful CBD oral tincture aids on the road to recovery. 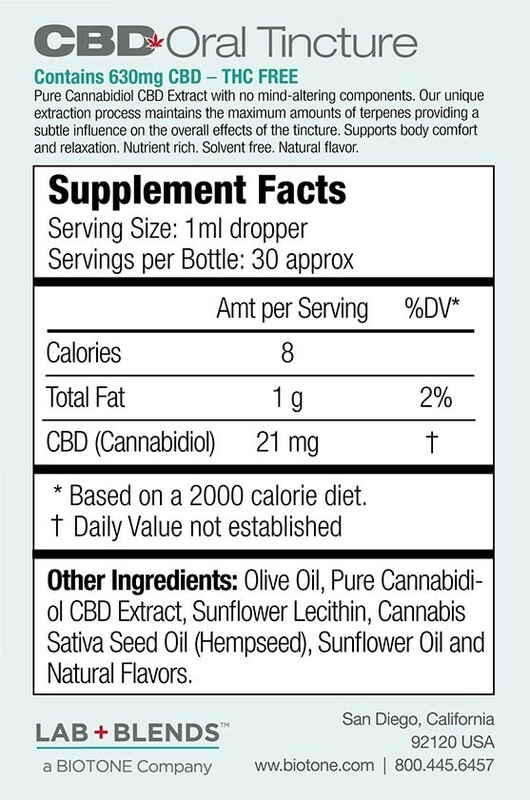 THC Free, non�psychoactive, natural flavor.Contains 630 mg of ground-breaking pure Cannabidiol CBD Extract with no mind-altering components. Maintains maximum amounts of essential terpenes for added benefits. Supports relaxation and sound sleep. Nutrient Rich, Solvent Free. Non-psychoactive, Natural Flavor.